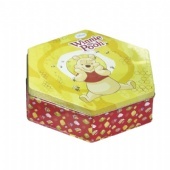 Hexagonal Tin Boxes，Did you know over two thirds of consumer decisions are made in the aisles of the local supermarket? 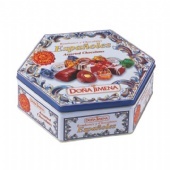 Marketing communication has moved from traditional advertising to the shelf and online, where the shape, color and design of your packaging increasingly determines whether or not the consumer puts your product in their shopping cart (either real and virtual!). 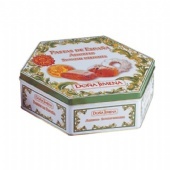 Custom tin packaging is a superb marketing tool, giving products in tin boxes an upscale image. 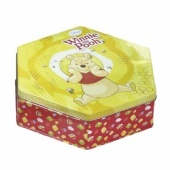 Our specialty Tin Packaging solutions come in many shapes and sizes including hexagonal shapes. 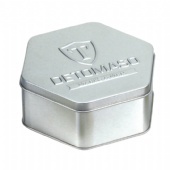 In fact up to 5000 different tooling molds exist or we can develope a tooling to manufacture Custom Tin Boxes specific to your needs. 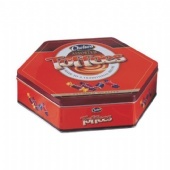 Our minimum order quantity usually starts at 5000 tin boxes. Our turnaround time is approximately 8 weeks from sign-off on artwork to delivery to your warehouse in the United Staes, Canada, Mexico and elsewhere. 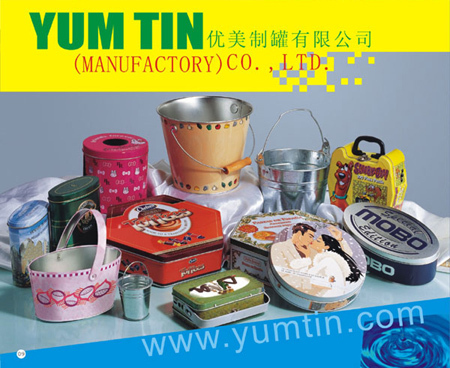 We supply the turnkey solution for your custom tin packaging needs so give a call at 86-13480074629, skype us or click on the box over there to the right. 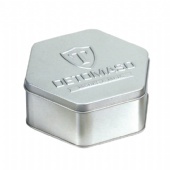 We can design your tin boxes too, and we're pretty darn good at it.